A contractor, or contract employee, is defined as an employee who works under contract for an employer (and there are many benefits associated with it). At PSCI, our contract employees work onsite at our clients. Contractors are hired for a specific job at a specific rate of pay. They do not become a regular addition to the staff and they are not considered a permanent employee (though contracts can be extended for long periods of time). 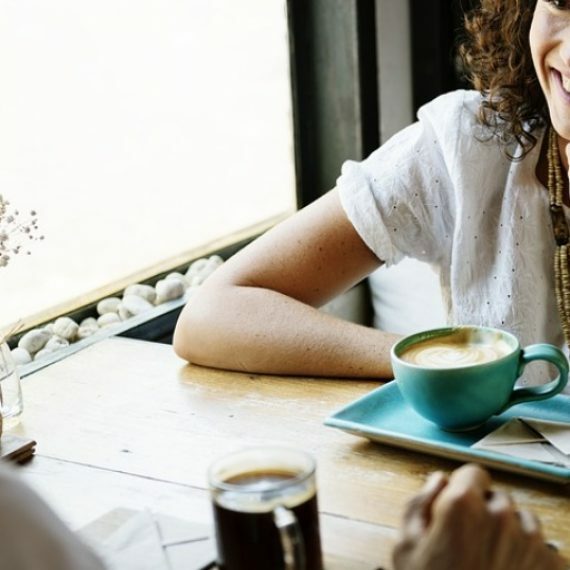 Although contractors may not stay at a job or company for long, there’s value in getting to know coworkers and managers and building a genuine connection with them. This blog covers why and how to build those relationships as well as how to keep them going, even after moving on to a new role. The value, or benefits, of having good working relationships with coworkers cannot be overstated. After all, a happy employee is a productive employee. In fact, Gallup, an analytics and advisory company, found that people who have friends in the workplace are more likely to be satisfied and those that have a best friend at work are seven times more likely to be engaged in their job. When you enjoy coming to work, it starts to feel a whole lot less like work. However, there are also many benefits associated with amicable working relationships. For one, people tend to be more agreeable and are more likely to go along with changes you want to implement. This leads to more innovation and creativity. In addition, friendly working relationships also foster positivity. Instead of exerting energy overcoming problems associated with negative relationships, you can, instead, focus on opportunity. And lastly, good relationships are necessary for furthering one’s career, and as a contractor that’s essential. If you’re going to be spending a career moving from position to position you’ll need past coworkers and managers (preferably recent ones) to serve as references. Maintain Positivity – Focus on keeping a positive mindset, even when things go awry. When things do go wrong, take a deep breath, go for a walk, exercise, and maintain a healthy diet. Doing these things will keep you feeling good about yourself. A positive attitude is both attractive and contagious and it will ingratiate yourself with your colleagues. Appreciate Others – Everyone, regardless of position, wants to feel appreciated. So show your appreciation whenever someone helps you. Beyond that, though, compliment the people around you and recognize them for a job well done – even if it didn’t directly benefit you. People tend to gravitate towards those who make them feel better about themselves. Listen – More specifically, listen actively when speaking with coworkers and managers. Active listening is a technique used in counseling, training, and conflict resolution. It requires that the listener fully concentrate, understand, respond, and then remember what is being said. People will respond to this and respect it. And most importantly, it’ll help you build trust with your colleagues. Schedule Time to Work on Relationships – Relationships, whether professional or personal, take work. So whether you can devote a full lunch hour or a fifteen minute coffee break, take the time to get to know your colleagues. Can’t find the time during the day? Interact with them on social media by liking and sharing their posts, or even conversing with them via those channels. These little interactions will help build the foundations for a good working relationship. Avoid Office Gossip – Humans have a powerful drive to know about other people’s lives. The fascination has spurned a multi-billion dollar industry through both magazine, in print and online, and television programs. Gossip, however, is a major relationship killer at work. If you’re experiencing conflict with someone, talk to them directly about the problem. Gossiping, or talking behind their back, will only exacerbate the problem and lead to mistrust. As we’ve already alluded to, having good relationships in the workplace can help you in your career. They keep you interested in your work and help you to be more productive. With the nature of contract work, however, you won’t be working alongside the same coworkers or reporting to the same managers who you’ve spent time building relationships with for the length of your career. However, those relationships can still prove beneficial for you. Full-time employees, just like contractors, also change jobs. When this happens, opportunity for you presents itself. It’s always easier to get in the door at a company (e.g. interview) when you know someone on the inside (a current employee). Not only can they alert you of the opportunity but they can also recommend you for the role and provide a reference. Internal referrals are almost always highly regarded. You can keep these relationships alive simply by staying in touch, and with the advent of social media that’s easier now more than ever. Connect with your colleagues on LinkedIn, befriend them on Facebook, and follow them on Twitter and Instagram. From time to time reach out and meet up over lunch, grab a morning coffee, or spend time chatting with them over the phone. Send them holiday cards and invite them to any networking events or conferences that you’re attending that you feel may interest them. By staying in touch you’re staying top of mind and keeping the relationship alive. So while the work you perform as a contractor may not be permanent, the relationships you build during that time can prove to be lasting.